We are the premier vacation rental and property management resource for Nuevo/Puerto Vallarta! Let us help you plan a carefree vacation enjoying over 60 exclusive privately owned luxury beachfront, oceanview, marina-view fully equipped gated condos and villas located along Mexico’s western coast – commonly called Mexico’s Riviera – along the Bay of Banderas. We feature properties at Paradise Village (Nuevo Vallarta), Punta Esmeralda (Bucerias), Portofino (Puerto Vallarta) and other world class resorts. Vacation with us! Automated Teller Machines (ATMs) are widely available throughout Vallarta at the airport, malls, hotels, grocery stores and in local banks. The Paradise Village Resort area has multiple ATM locations--as does the Marina District. Here is a resource to find out the latest exchange rates. The general attitude is laid back and casual. Around the resort, shorts and beachwear with a cover-up and sandals/flip flops are fine in the resort areas, restaurants (in the day time) and shopping mall. Chic resort wear is purely optional and not typical here as in luxury resorts in Caribbean and Europe. People come here to unwind and to enjoy the water, beach and to relax. Be comfortable. Don’t overpack. In restaurants around the resort area and in the city, in the evening, men usually wear slacks and a golf or casual short-sleeve shirt and women a sundress or slacks/skirt and blouse. Jeans, not cutoffs, and khaki long pants are usually OK in most places for both men and women in the evening, except finer restaurants. During the day for sightseeing, shorts and t-shirts/short sleeve shirts are fine for all. Even in the more exclusive restaurants in town, jackets or sport coats are sometimes suggested, but not required for men (though some men do wear them). In finer restaurants, local women tend to dress a bit more for dinner (sun dress, blouse/skirt, casual pant suit). At restaurants along the beach (Meson Bay, Daiquiri Dicks etc. ), you can be more casual in the evening and even wear shorts (not cut-offs) if the weather is really hot. Take a wrap, no matter the weather, as it can suddenly get cool, especially by the beach/bay. Paradise Village Resort has several restaurants and bars that you can enjoy. Unless there is a new policy, you must be registered and have a guest card with charging privileges (actually a number) so you can charge food and beverages there. Currently, they do not take cash at the restaurants, only signature room charges. There is food service at the Beach Club there if you are registered for charging privileges—with a 10% discount. The waiters will circulate among the palapas and the pool areas and take your order and bring your food to you on the beach. You must sign for this service to pay. They do not accept cash. Tips are not included in the total. 10% gratuity is standard. Watersports: On the beach behind Paradise Village Resort is an activity center that can arrange any equipment rental that you need e.g. jet skis, etc. The concierges at Paradise Village Resort can assist you with restaurant reservations and recommendations for tours. Most snorkeling, boating adventures leave from somewhere in the neighborhood. She can give you full details and prices. There are jungle tours, tequila farm tours, biking tours, mountain biking tours, boating and fishing expeditions, and a myriad of other adventures to help you explore this beautiful western region of Mexico. At Paradise Village Resort, there are specific facilities and supervised centers for children. There is a daily charge as it is like babysitting service for the kids' club. At other facilities throughout the resort (new sports center area especially), children have their own facilities, pools and play areas (parental supervision required). Generally, they accept children between 4 and 11. Check with your building manager for new location. If you want to accompany your children and supervise them directly, there are large kids pools, kids locker rooms and kids play areas at the new Sports Center near the golf course at Paradise Village Resort, which is accessible to those who purchase the social membership. In addition to all the kids activities available at the sports center, this venue has an adult pool as well, fitness center, 14 tennis courts of all surfaces, squash courts, indoor and outdoor basketball courts, free exercise classes with certified instructors and a restaurant, with poolside wait-service so you don’t have to get up to order breakfast or lunch. Every Sunday there is an English speaking non-denominational Christian church service in Paradise Village Shopping mall on the 2nd floor. There are Catholic Mass Services as well. Check with the hotel concierge or look for signs announcing the times services begin each week. There are endless activities and venues around Puerto Vallarta and Nuevo Vallarta for visitors to explore. Here are a few activities and places you might want to explore. Ask your hotel concierge, or our private greeters or look for locally available brochures for additional information. (Every year from November to April) Local galleries feature a self-guided Art Walk throughout Old Town every Wednesday and offer free cocktails and exhibits of their featured artists. You wander at your own pace among the designated galleries during designated hours. At any time of the year, you can explore dozens of art galleries throughout Vallarta, which is known for its artist community—many of whom have international reputations. Old Town and along the Malecon (the boardwalk in downtown Puerto Vallarta), you will find art venues of every kind and media. Most restaurants in Puerto Vallarta offer some form of live music from November-April, especially. When making a dinner reservation, ask them if the place has live music. Most major hotels feature live music in bars. Most beachfront restaurants usually have local strolling mariachi bands or other musicians who play for tips/gratuities. Vallarta Adventures tour company offers a variety of escorted adventures and day trips to explore the sea and forests and ecological habitats of this tropical area. They offer a variety of excursions for every skill or interest level and arrange pickups from major hotels and resorts. Offered nightly and includes dinner, open bar, dance contest for adults, fireworks on a ship. Get a close-up look at wild birds and animals and jungle life. After the tour you can wade in the river and enjoy lunch all at the same location. Several tequila farms and factories are open for tours and many have horseback riding, biking and outdoor activities you can enjoy for the day, as well as tequila tastings. Enjoy one of over half a dozen 18 or more hole golf courses in the greater Vallarta area. “Twilight”/Discounted greens fee rates usually start at 2pm. All our resorts have activity centers where you can rent/borrow (boogie boards are usually complimentary) kayaks, wave runners (jet skis), parasailing equipment, bicycles, etc. There are numerous charter companies that off all day, all inclusive outings with bi-lingual crews. Most major hotels and resorts offer an all-inclusive (drinks and food) themed dinner (for example, Mexican Fiesta, Lobster night, Seafood Night, BBQ/Western, Italian Night etc.) night every night of the week. These lavish festive events require advance reservations (usually) and tickets—which can be made by your concierge or by calling the hotels directly. There are usually games, contests, dancing, and fun for all ages (children included). Daily car rentals are available (full coverage insurance purchase is advised) so you can strike out on your own and explore the coast along the Bay of Banderas or the countryside. The drive north up the coast from Vallarta to Punta Mita is full of quaint little villages that are very “laid back” and casual with marvelous beaches. At most beach/Oceanside restaurants, you can change and enjoy the beach as well as dine. For complete information, consult your airline or the U.S. State Department, to make sure everyone in your group has the proper documents to gain entry into Mexico. The Intelligence Reform and Terrorism Prevention Act of 2004 requires that by January 1, 2008, travelers to and from the Caribbean, Bermuda, Panama, Mexico and Canada have a passport or other secure, accepted document to enter or re-enter the United States. In order to facilitate the implementation of this requirement, the Administration is proposing to complete it in phases following a proposed timeline, which will be published in the Federal Register in the near future. •	December 31, 2006 - Requirement applied to all air and sea travel to or from Canada, Mexico, Central and South America, the Caribbean, and Bermuda. •	December 31, 2007 - Requirement extended to all land border crossings as well as air and sea travel. This is a change from prior travel requirements and will affect all United States citizens entering the United States from countries within the Western Hemisphere who do not currently possess valid passports. This new requirement will also affect certain foreign nationals who currently are not required to present a passport to travel to the United States. Most Canadian citizens, citizens of the British Overseas Territory of Bermuda, and to a lesser degree, Mexican citizens will be affected by the implementation of this requirement. Copyright © 2006. VallartaJoy Luxury Vacation Rentals SM. VallartaJoy Real Estate Management Services LLC (“VJRS”) a Michigan,USA company. All Rights Reserved. Telephone: 734.845.1530 (EST/GMT-5). Fax: 517.783.2549. 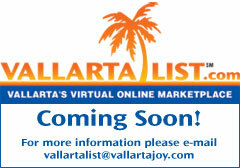 E-Mail: contact@vallartajoy.com; Affordable luxury oceanview beachfront and other vacation condo and villa rentals. Specializing in Puerto Vallarta and Nuevo Vallarta luxury vacation home rental lodging alternatives. We also provide reliable and professional property management services for select upscale vacation condominiums and villas with marina, golf, ocean, beach and mountain views in the greater Vallarta Mexican Riviera Region.